The Nobel Prize in Economics medal awarded to Thomas Schelling in 2005 was auctioned, following his death and according to his wishes, with proceeds donated to battle racial and social injustices. The giving and the blocking of money has become a modern-day vehicle for activism, and it is now being leveraged in the U.S. fight for the public square. Should GuideStar Flag Hate Groups? 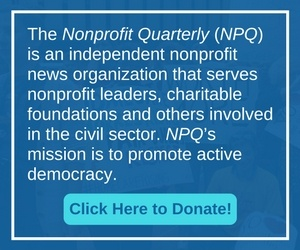 In a move that was surprising to many, GuideStar has flagged dozens of nonprofits as hate groups on its famously neutral website. The legacy of the Grateful Dead’s Jerry Garcia lives on through donations to combat hate crimes, financed by the sale of one of his prized guitars.